Kathryn McNeal is a speech-language pathologist located in Cleveland, OH. Practice Type: • Outpatient Rehabilitation Center Practice Areas: • Speech Language Pathology • Fluency and fluency disorders Take the next step and contact Kathryn McNeal for a consultation in Cleveland, OH or to get more information. RoseAnn Stroebel is a speech-language pathologist in Mentor, OH. 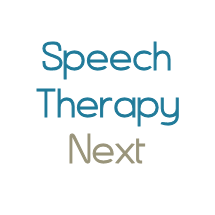 Practice Areas: • Speech Language Pathology • Speech Therapy Take the next step and contact RoseAnn Stroebel for a consultation in Mentor, OH or to get more information. Sherri Leslie is a speech-language pathologist in Cleveland, OH. Practice Type: • Professional Organization Practice Areas: • Speech Language Pathology • Speech Therapy Take the next step and contact Sherri Leslie for a consultation in Cleveland, OH or to get more information. Tera Sumpter is a speech-language pathologist in Avon Lake, OH. Practice Type: • Self-Employed Practice Areas: • Speech Language Pathology • Speech Therapy Take the next step and contact Tera Sumpter for a consultation in Avon Lake, OH or to get more information. Pat Strnad is a speech-language pathologist in Medina, OH. Practice Type: • Office Practice Areas: • Speech Language Pathology Take the next step and contact Pat Strnad for a consultation in Medina, OH or to get more information. Heather Rose is a speech-language pathologist in Akron, OH. Practice Type: • Private Physician's Office Practice Areas: • Speech Language Pathology • Aural (re)habilitation • Language acquisition disorders Take the next step and contact Heather Rose for a consultation in Akron, OH or to get more information. Mary Boia is a speech-language pathologist in Sheffield Village, OH. Practice Type: • School Practice Areas: • Speech Language Pathology • Speech Therapy Take the next step and contact Mary Boia for a consultation in Sheffield Village, OH or to get more information. Amy Adams is a speech-language pathologist in Stow, OH. Practice Type: • Self-Employed Practice Areas: • Speech Language Pathology • Speech Therapy Take the next step and contact Amy Adams for a consultation in Stow, OH or to get more information. Barbara Kline is a speech-language pathologist in Akron, OH. Practice Type: • Pediatric Hospital Practice Areas: • Speech Language Pathology • Swallowing disorders Take the next step and contact Barbara Kline for a consultation in Akron, OH or to get more information.